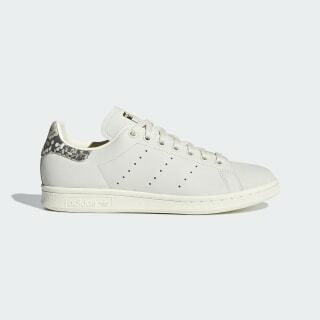 Stan Smiths with a snakeskin-pattern detail and a 3-Stripes slogan in French. 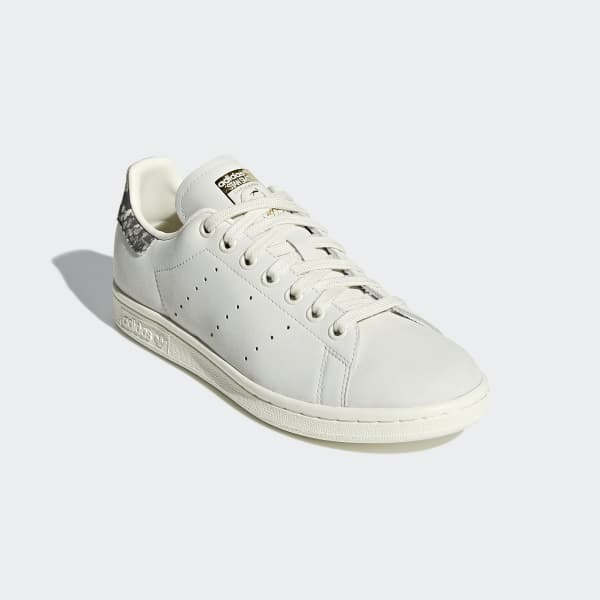 The simple austerity of the Stan Smith sneaker, with its smooth toe and perforated 3-Stripes, has made it a global style icon. For a chic update, these shoes have a textured nubuck upper. The heel shows off a snakeskin pattern and a "Brand with the 3-Stripes" slogan in French to add some international flair. Product colour: Off White / Off White / Gold Met.